Just in time for the New Year - we've teamed up with some amazing teacher-authors for TWO ROCKIN' opportunities! We are so blessed to have awesome friends along this incredible teacher-author journey, and we'd like to be sure you are a part of these rockin' opportunities, too. 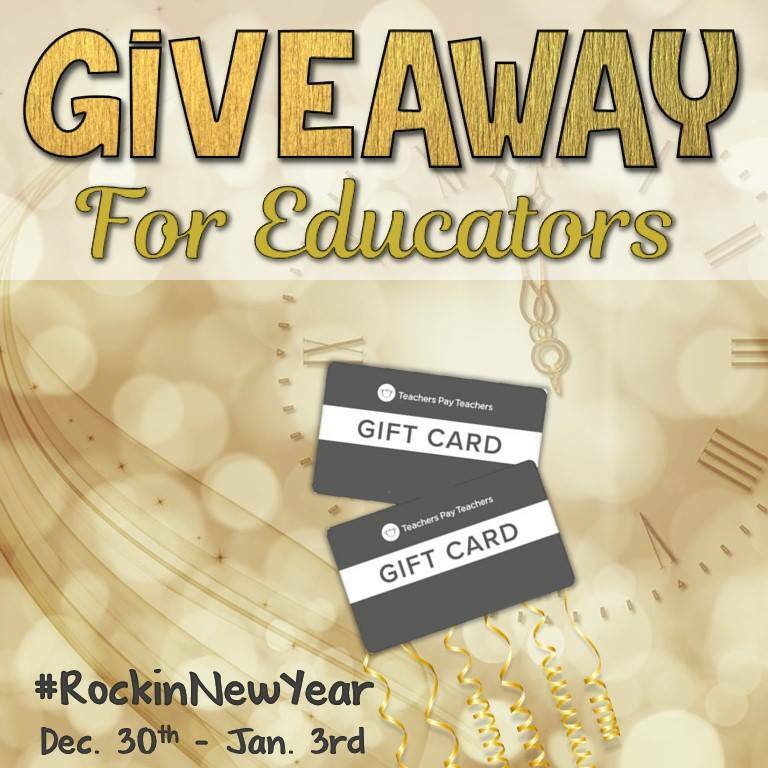 These are both offered for a limited time, so click the links below to find some great bargains AND to sign up for a chance to win one of TWO Teachers Pay Teachers gift cards! Take 2018 out in grand style and welcome 2019 with a bang! Click here for a Rafflecopter giveaway -- enter for your chance to WIN one of two TPT gift cards - $250 or $225! 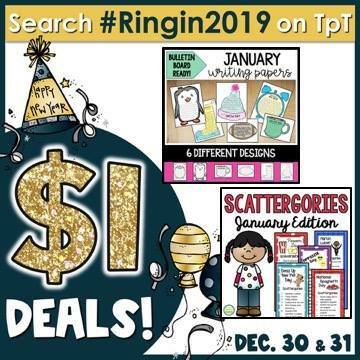 Search #Ringin2019 on Teachers Pay Teachers to find some pretty sweet DOLLAR DEALS - only December 30-31! 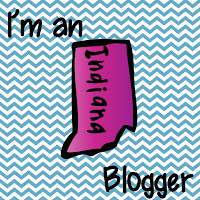 We promise you will find something (or LOTS) to love! We've already loaded our own cart—don't delay, do this today! We're offering one of our bestsellers, our January Scattergories, and a soon-to-be-favorite, part of our new writing-paper-bulletin-board-ready-series, our January Writing Papers. Happy New Year to you - wishing you continued success and much love, peace, and joy in the New Year! Thank you for sharing this journey with us!